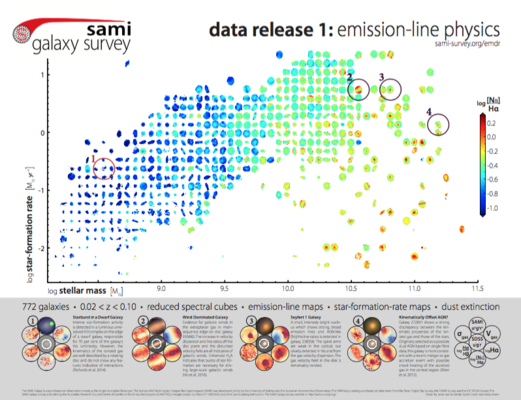 The SAMI Galaxy Survey Data Release 1 is now available. In addition to the reduced spectral cubes for each galaxy, this release includes value added products focused on emission-line physics and star formation. 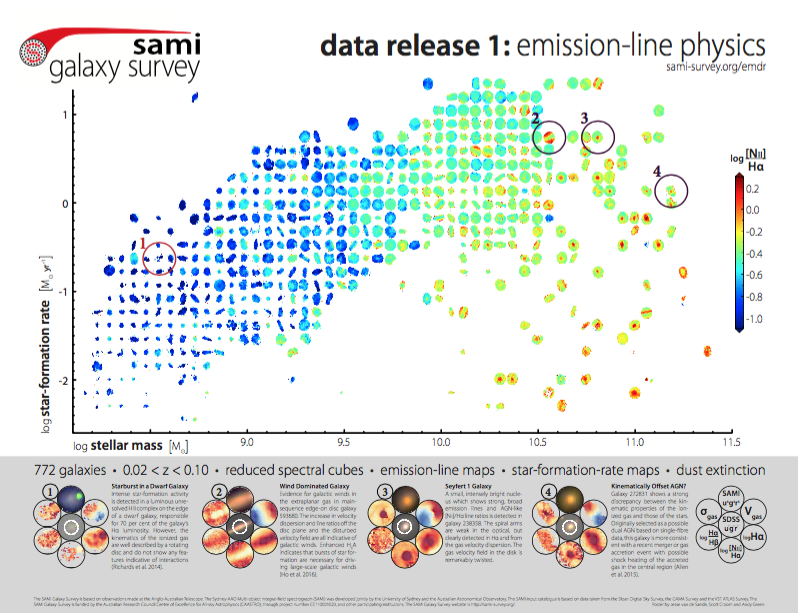 Galaxies included in the SAMI DR1 are drawn from all galaxies observed in the GAMA regions as of June, 2015 (AAT semesters 2013A to 2015A) meeting the survey quality control requirement: 772 individual galaxies. For more details on SAMI DR1 please see Green et al. (2018) and the documentation pages available from AAO Data Central.